Two little aliens have crashed on planet Earth and no idea how to communicate in this fun word guess quiz! Help them learn words by finding the correct answers to the images. Fill in the letters, solve a level to earn coins and unlock more categories. Can you guess all word correctly and finish the quest? 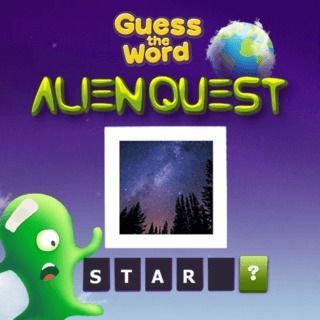 Alien Quest - Find Alien Quest in our vast HTML5 games catalogue. Only the best and newest HTML5 games for all audiences. Guaranteed success with Famobi.